Blinky Bill has been a favourite character to children in Australia for generations. We grew up reading his adventures in a story book. Children today watch his adventures on a TV cartoon show. 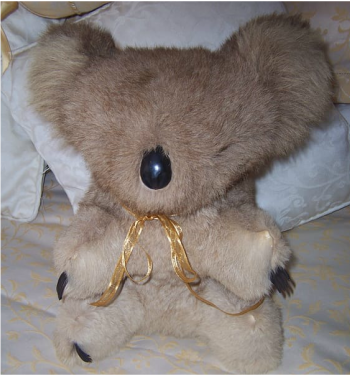 Blinky Bill is a lovely soft plush toy. He is 26cm tall. Yoram Gross Film Studios Pty Ltd. There is also a vintage jigsaw puzzle for the smaller child to teach them biggest to smallest sizing with pictures of Blinky Bill on it. 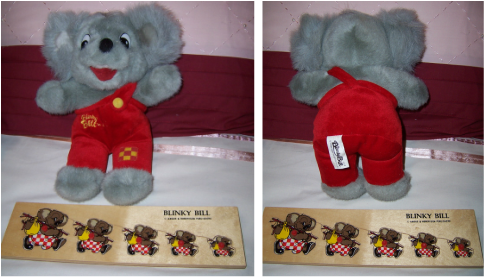 Blinky Bill goes from being large to quite small, and each piece has a red plastic little knob to make it easy to handle. There are 5 different sized Blinky Bills. Not sure of the actual age of Blinky but could be circa 1990? 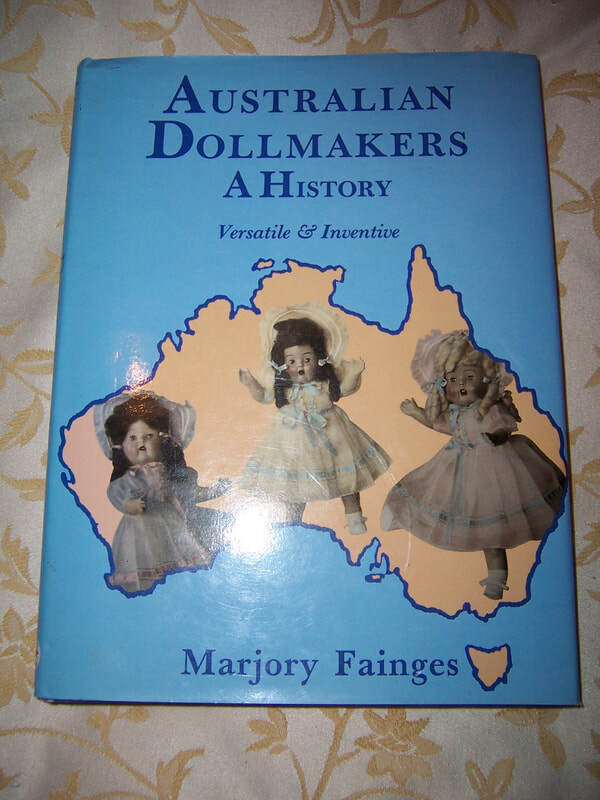 When we were little in the 1960's we all had a soft toy to take to bed and one was usually a Koala. In those days we all called them a "Koala bear" but they are not a bear. The Koala is a much loved Australian protected animal (marsupial) and it is always a joy to see one in the wild or in our Zoo's. He seems to have been made with real fur perhaps Kangaroo/rabbit as it is very soft to touch. He has the small glass orange eyes (2) like a teddy bear, rubber nose, and 3 rubber paws. He has one paw missing. He does show a little wear to his fur coat near the paws. These does not detract from him but told for accuracy. 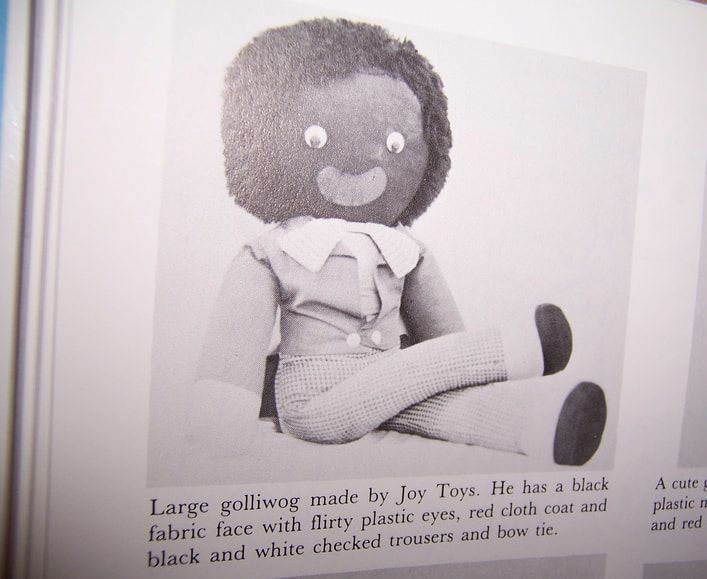 TAGGED "JOY TOY MADE IN AUSTRALIA"
This golli must have sat on someones bed or special chair in their bedroom as the front on him has faded more compared to the back of him. The back of his fabric and long checkered pants still look very bright in colour. .red long tailed jacket with original two white buttons is complete with no rips or tears but has faded in places in the front over the period of time. 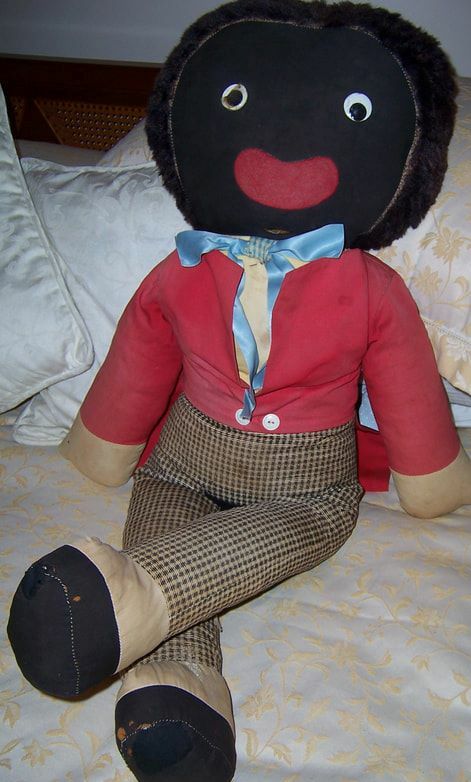 .wearing his vintage light blue satin ribbon around his neck.
. black and white checked trousers/pants which are stitched to his body show some stains and are generally dull from period time. These may be able to be cleaned. There is an old repair from previous owner at his crutch .
. white of his hands and of his feet are stained due to age once again.
. black fabric of his feet have a small repair on the bottom of each foot - see photos. We believe him to be circa 1950/1960 and due to his age you will find that he is not in pristine condition and is showing general wear and tear to the fabric. Please look at our pictures. He is a real dapper of a gentleman.